Anthony Martial faces an anxious wait to discover if he still has a Manchester United future under beleaguered boss Jose Mourinho when his side face a crucial clash at Burnley on Sunday. The matter reached its low point during United's pre-season tour of the United States when Martial left to return to Europe for the birth of his child and then reportedly refused to re-join the team in America. That stand-off resulted in Martial being fined by the club - the only time that has happened in Mourinho's reign, according to the manager himself - and his involvement during United's difficult start to their Premier League campaign has, so far, been limited. 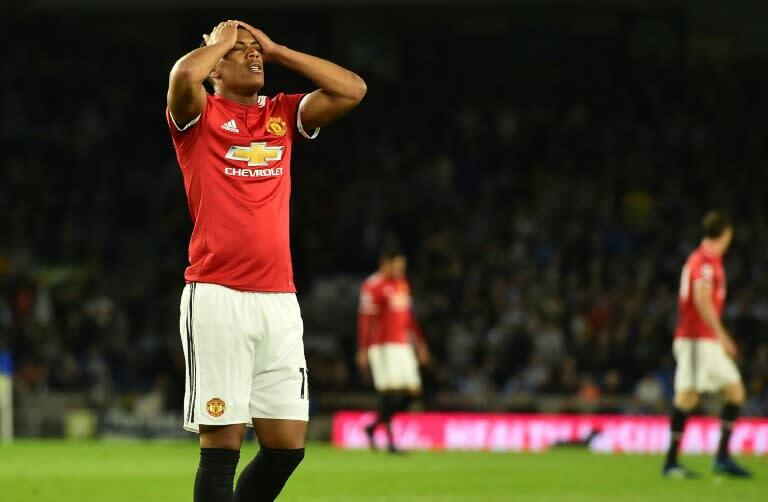 An unused substitute for the opening day win over Leicester, Martial started in the disappointing loss at Brighton, only to be replaced after an hour, and was not even named on the bench for Monday's home defeat by Tottenham. United's owners, having paid Monaco £36 million ($46 million) for a player who is still only 22, seemed keen to keep the striker at the club in the hopes that he could develop and rediscover the form he showed in an electrifying start to his United career in 2015. However, United are understood to be talking to Martial's representatives about a new, five-year contract extension, a development with which Mourinho is in full agreement, according to reports. "We have to wait for this to be official because at the moment it is not official," he said. Given Mourinho's managerial track record of leaving several of his former clubs within three seasons, it appears common sense that Martial will outlast his manager at Old Trafford should he sign such a deal. But, having missed out on a place in France's World Cup winning squad this summer, Martial will be more concerned about his short-term prospects under a manager who appears to be coming under increasing scrutiny and pressure with every passing week. After United's failure to turn a dominant opening half-hour against Tottenham into goals, Mourinho could well decide to start Martial against Sean Dyche's team. Mourinho scouted Burnley as they exited the Europa League against Olympiakos on Thursday and said: "I went there and knew they would rest a lot of players who will play Sunday but they were very unlucky to go out."